Head to outer space when you play Asteroids Slots at Moon Games! You’re guaranteed to have a good time with a fun theme and graphics, plus loads of exciting wins! It’s time for an adventure! Where are we going, you ask? To outer space! 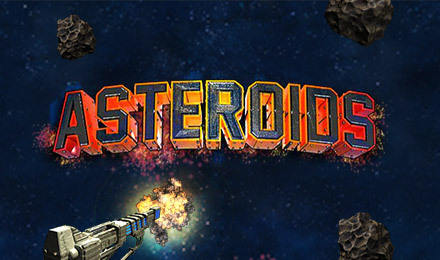 Asteroids Slots is a guaranteed good time with loads of chances to win big! There are FREE Spins, Sticky and Expanding Wilds, plus a generous 97% RTP and 720 ways to win. Use your laser to uncover 3 matching gems – each one has a different value associated with it, giving you loads of chances to win! Good luck!